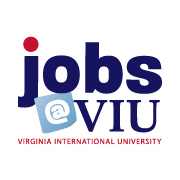 If you haven’t had a chance to check out our Jobs@VIU Facebook page, you should check it out to find out what it’s like to work at VIU. We try to highlight our culture and recognize our employees as much as possible. This includes pictures, videos, employee spotlights, and (of course) job openings. This week, we have our Communications Manager taking over our Instagram account to show what a week in her life is. Like our page to get updates and share…share…share!